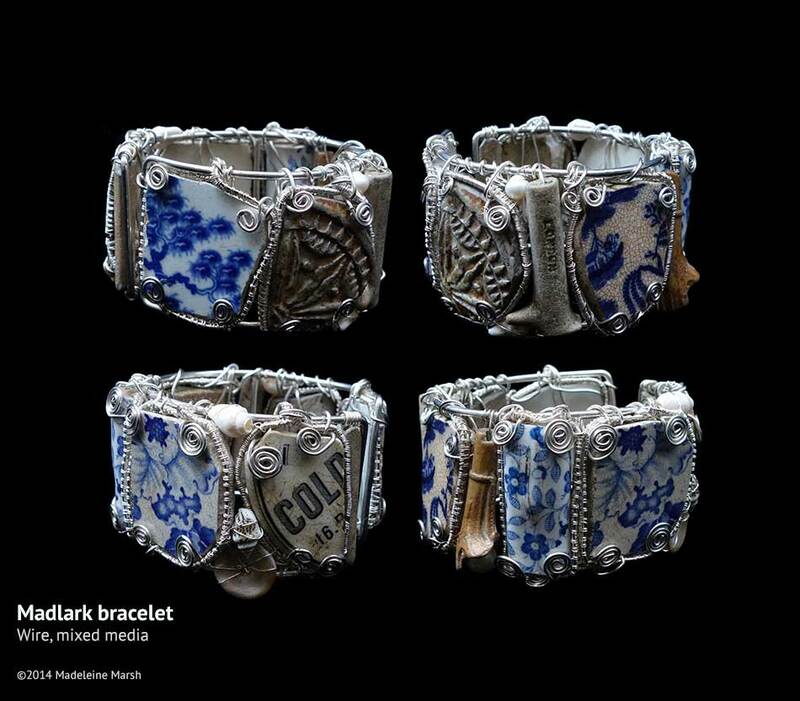 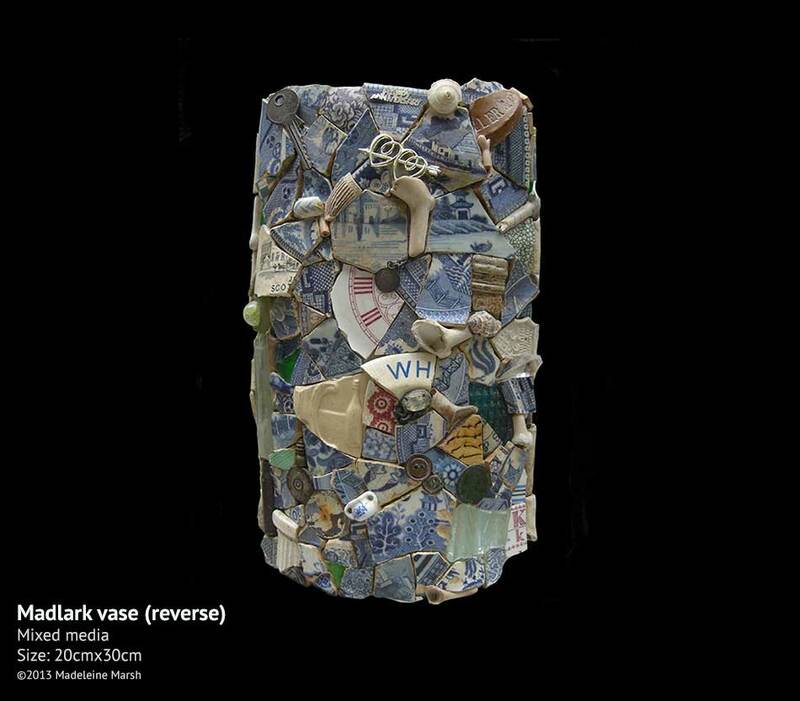 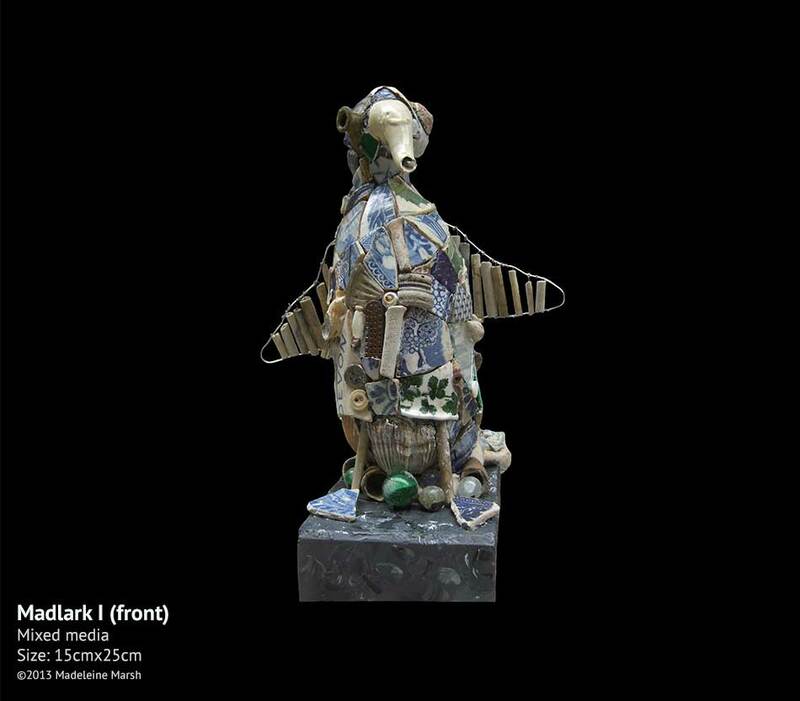 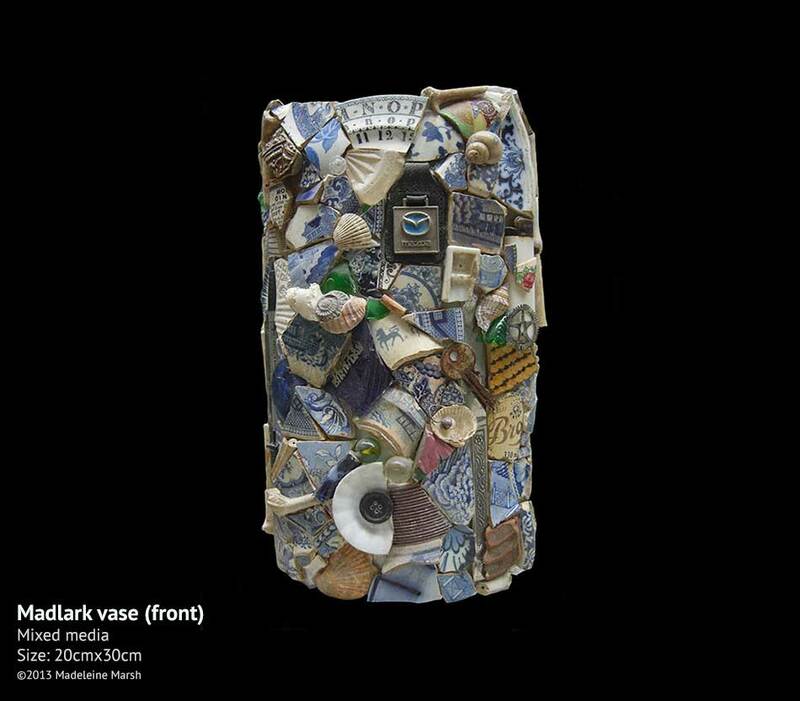 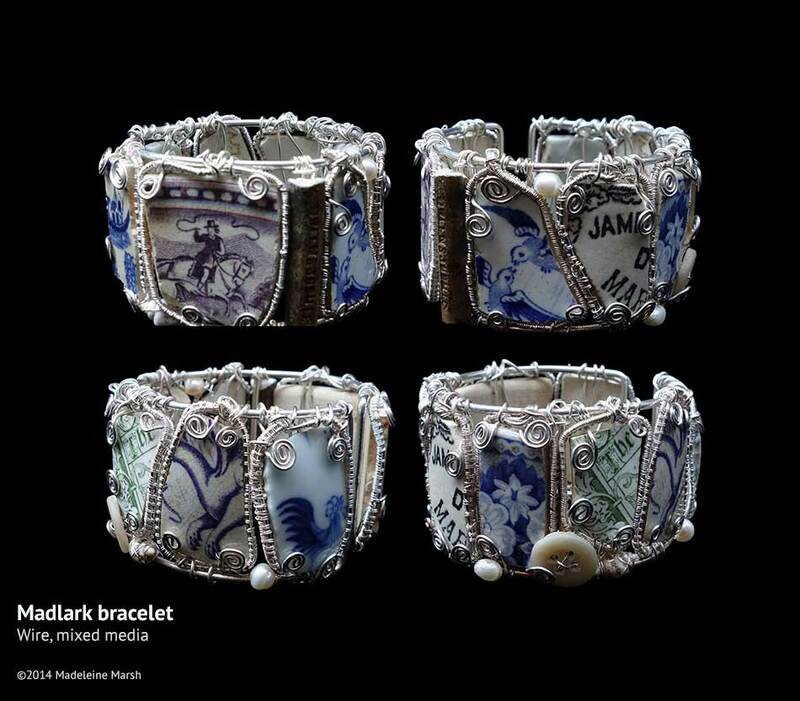 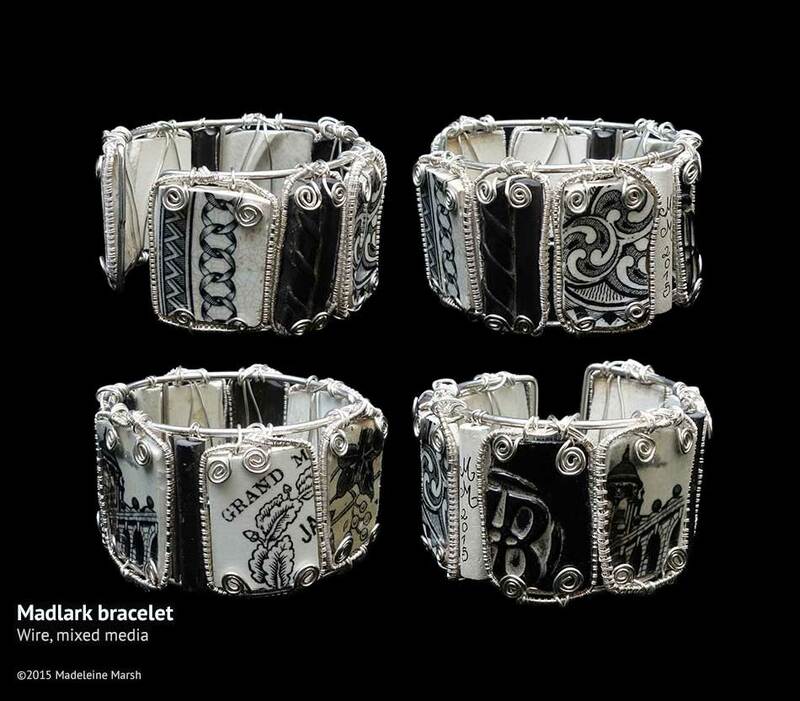 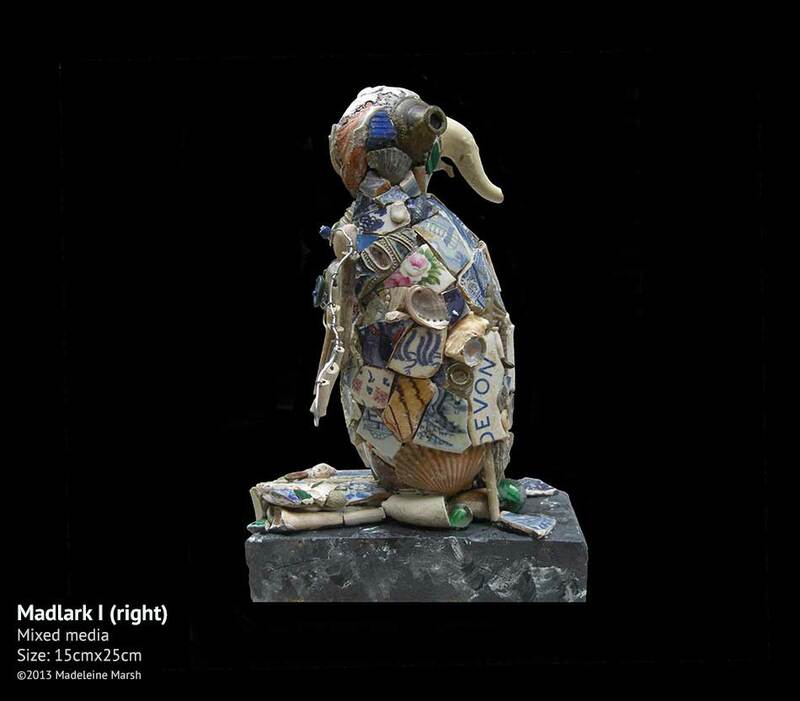 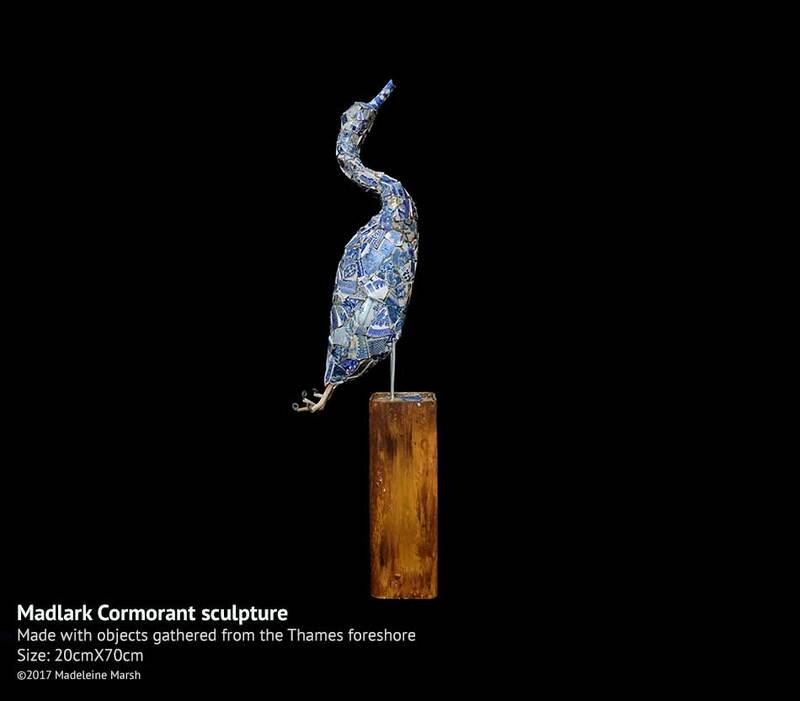 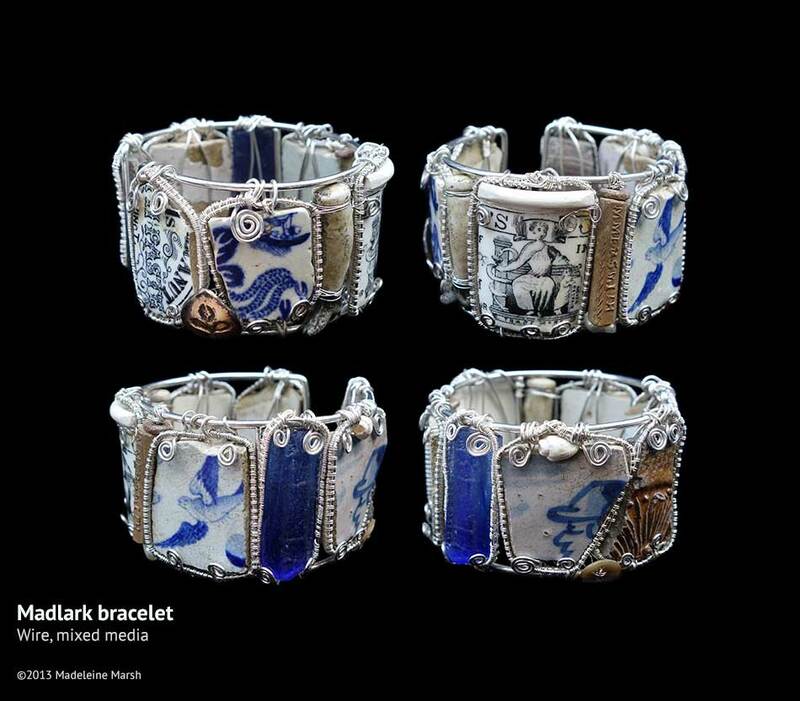 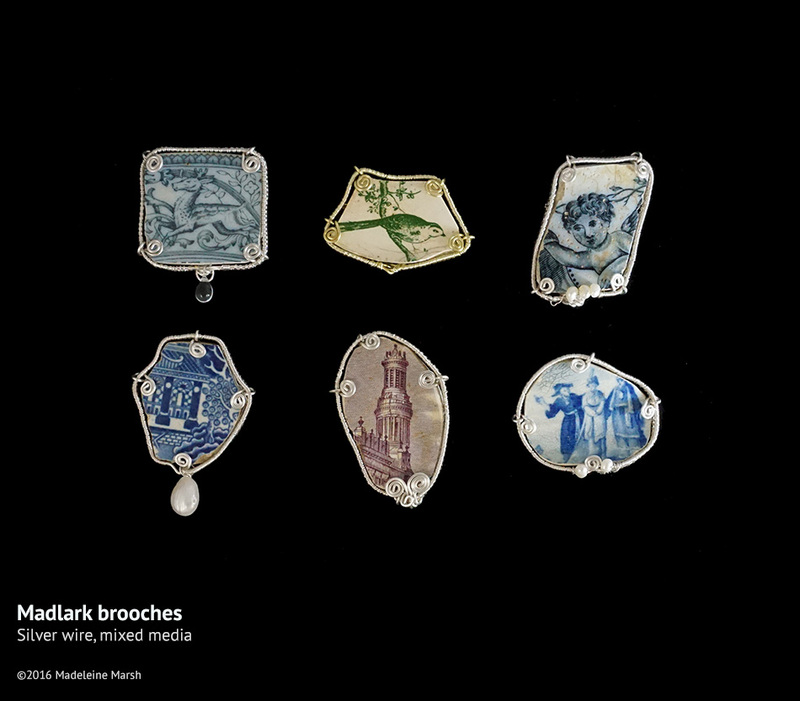 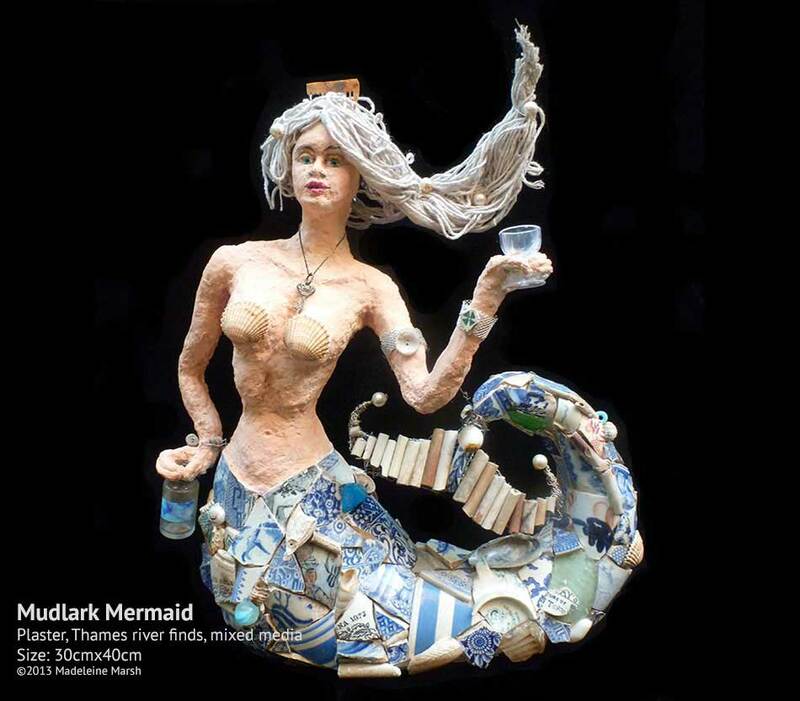 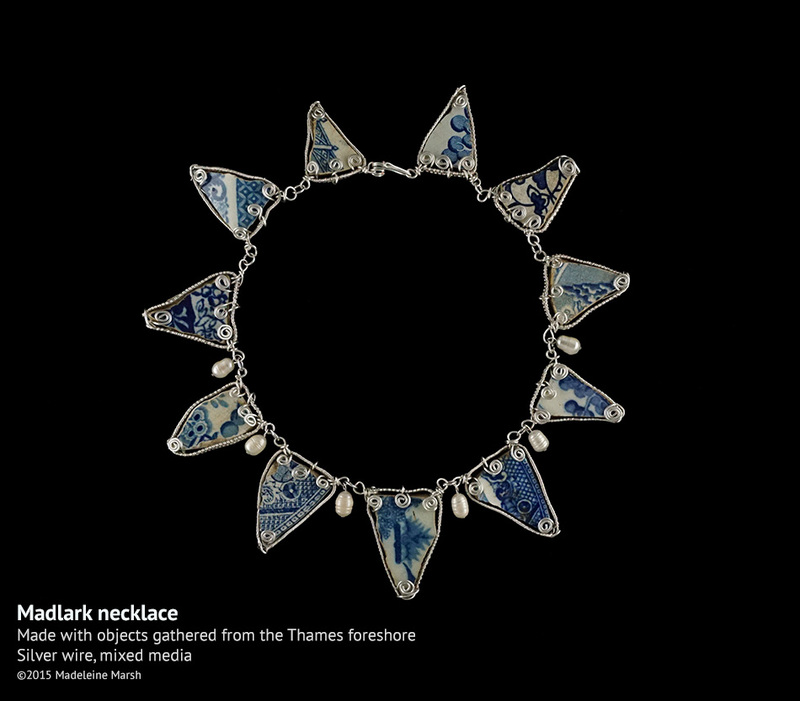 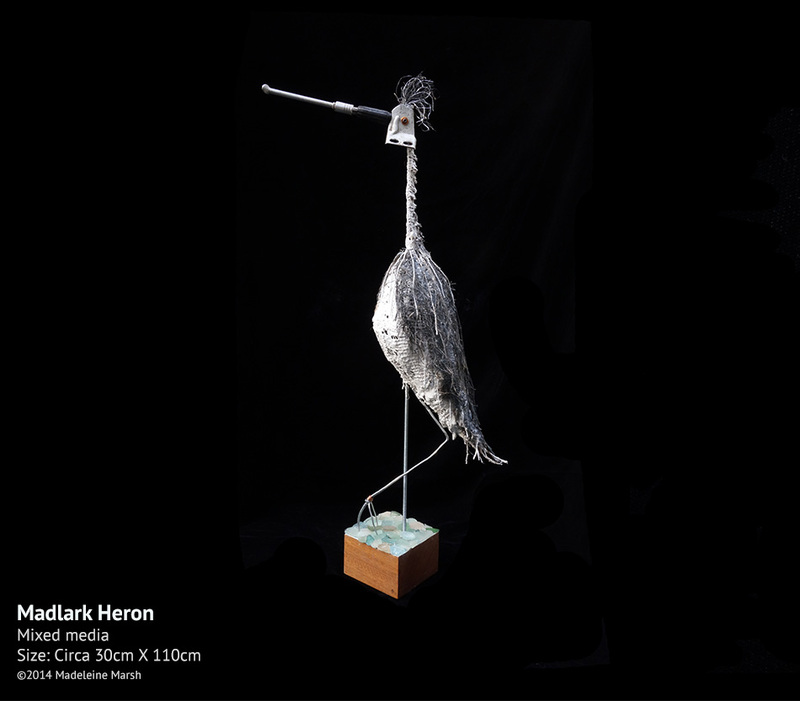 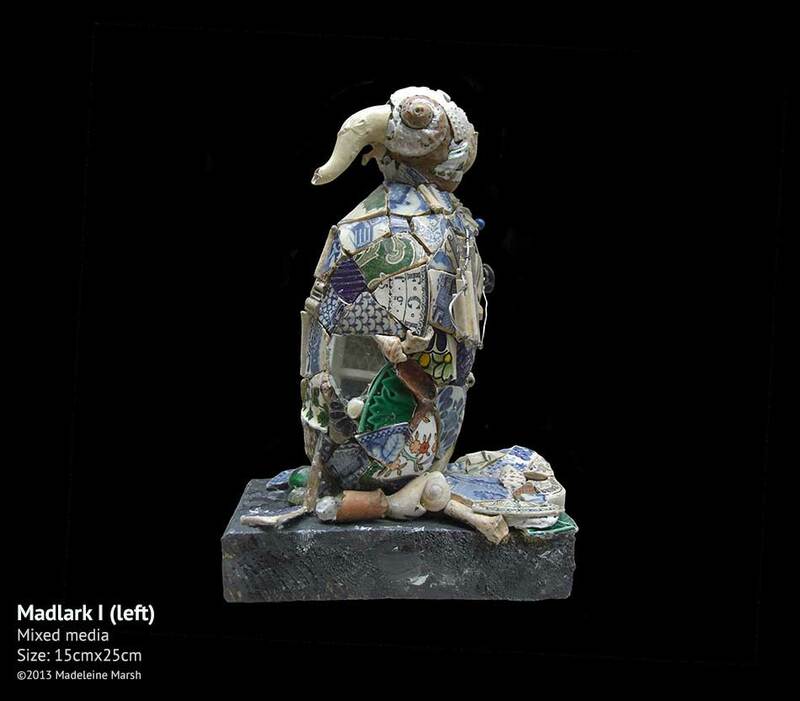 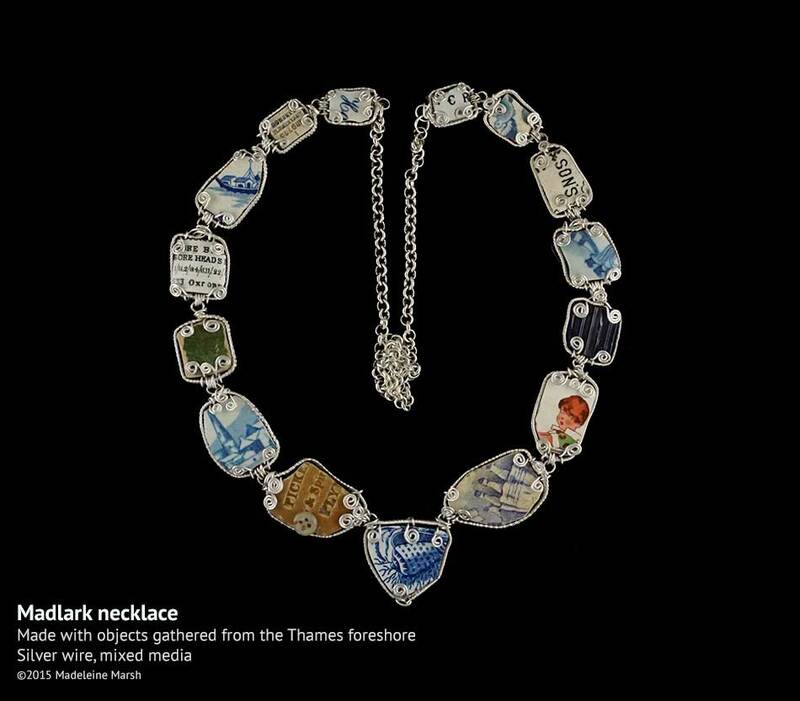 ‘Madlark’ sculpture and jewellery is made by artist Madeleine Marsh from river finds mudlarked from the Thames and transformed into individual pieces of art. 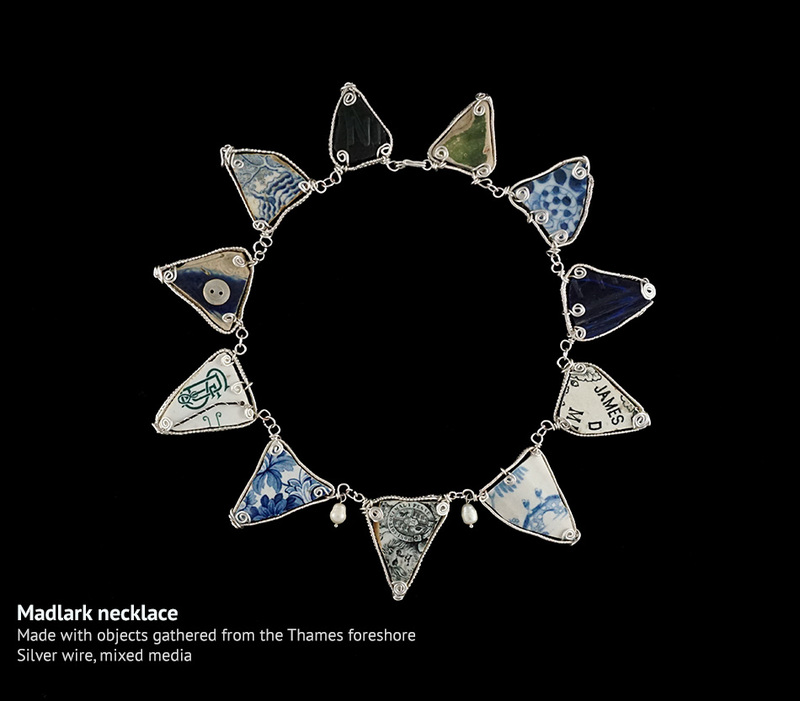 Designs reflect the random nature of the foreshore, where fragments representing the story of London across the centuries are brought together by the ebb and flow of the tide. 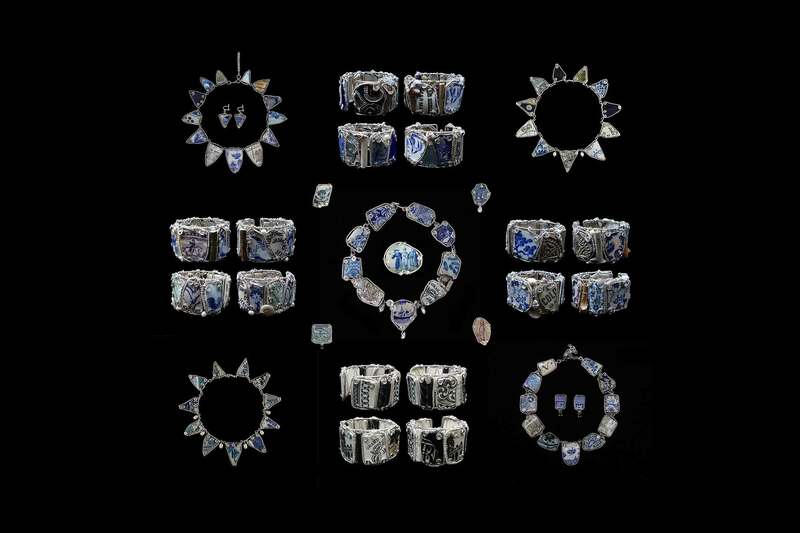 Shards can date back over hundreds of years. 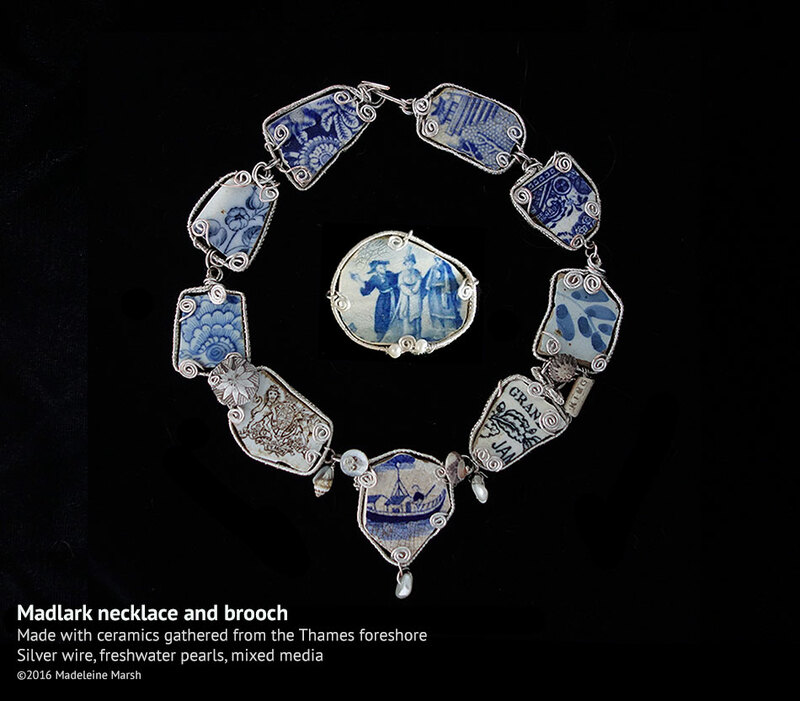 Put together in a new form, they provide a record of what we ate and drank; our changing decorative tastes and the everyday lives of past generations of Londoners. 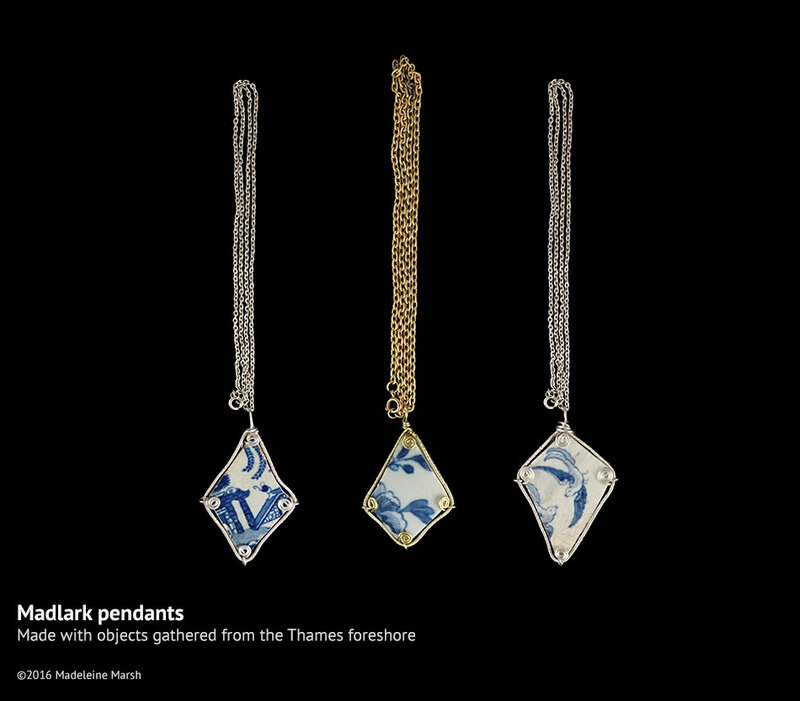 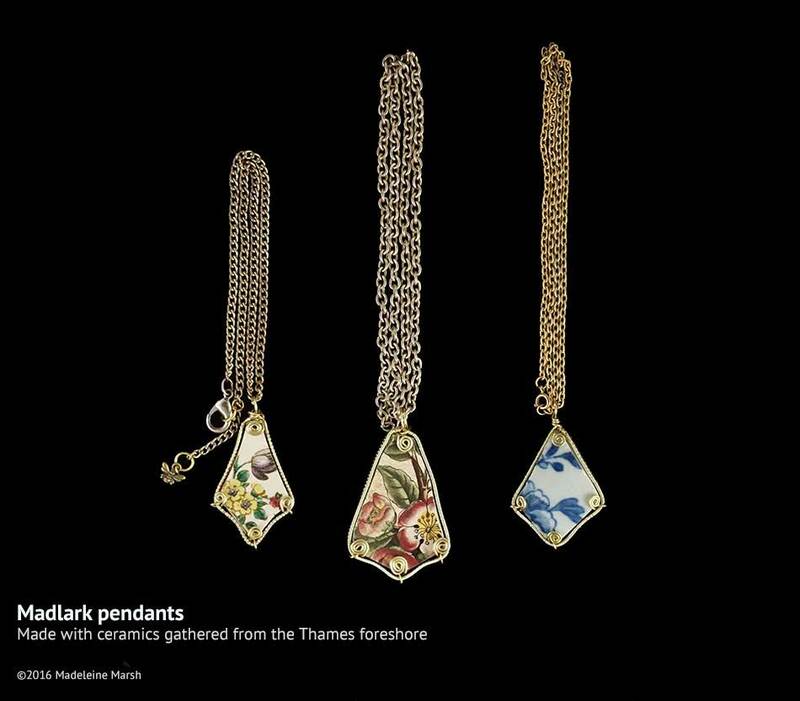 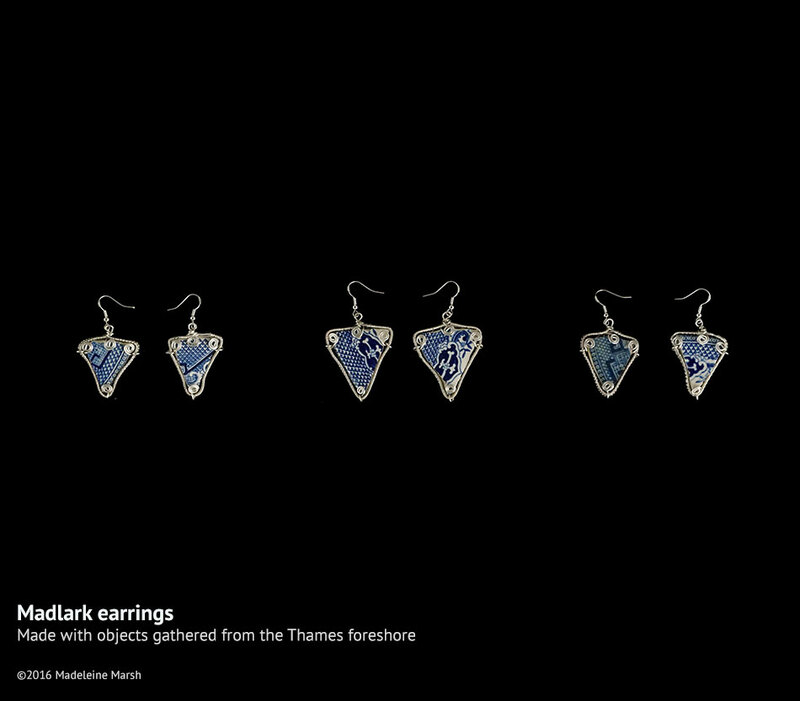 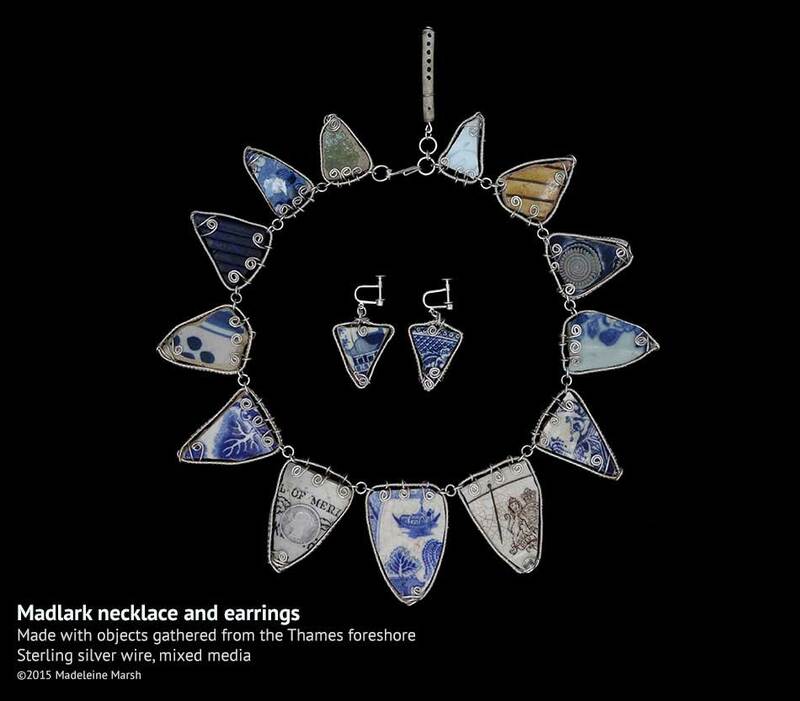 Reflecting the magic and history of the London Thames, these pieces are genuinely unique.